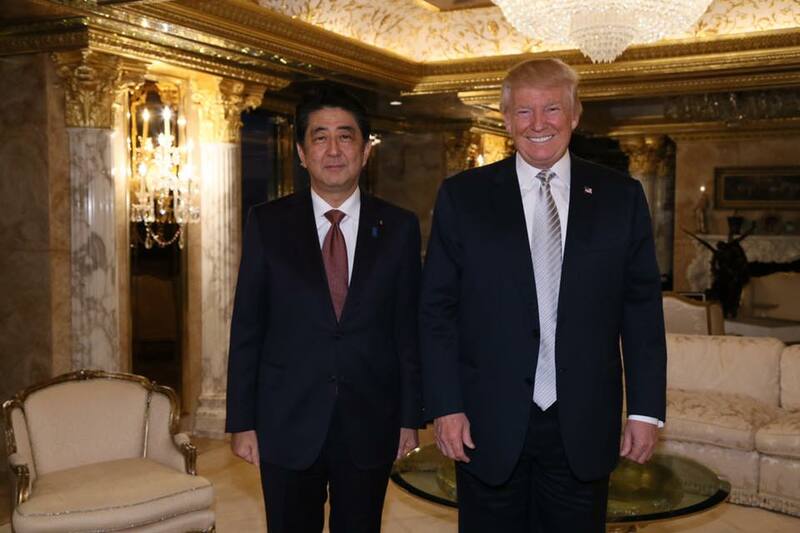 Prime Minister Shinzo Abe met with President-elect Donald Trump at Trump Tower in New York City on November 17, 2016. Photo courtesy Donald J. Trump official Facebook page. The first meeting between President-elect Donald Trump and Japanese Prime Minister Shinzo Abe focused not on the campaign rhetoric that has gained widespread attention to this point, but instead on the future of U.S.-Japan relations, Sasakawa USA experts said in media reports providing context in which to interpret the meeting. Adm. Dennis Blair, Chairman and CEO of Sasakawa USA, agreed in a Foreign Policy article that Abe’s aim would be to establish himself as a friend, not a foe, to the Trump administration. “It’s a good thing for the two of them to get together and just have that channel of communication open,” Blair said in the article. Speaking at a discussion on U.S.-Japanese ties at the Wilson Center and quoted in an article in the Washington Times, Sasakawa USA Fellow for Security and Foreign Affairs Dr. Jeffrey Hornung said Trump’s campaign remarks may not have a lasting impact on the U.S.-Japan relationship, and that the decisions of President Trump may not echo what he put forward as a candidate. “The rhetoric of the campaign does not pertain to the people who work on the alliance every day,” Hornung said in the article. Prior to the meeting, Sasakawa USA distinguished non-residential fellow Tomohiko Taniguchi, who also serves as a special advisor to the Abe cabinet, echoed those sentiments, telling news sources the Japanese government was not focusing on campaign-season rhetoric, but instead on building a positive future between the U.S. and Japan. Taniguchi said the meeting was a chance for the two leaders to get to know each other and begin a preliminary exchange of views on a range of topics. Taniguchi said no concrete decisions or “bullet points” were expected to come out of the meeting, as Abe did not plan to discuss any specific policy matters. View the full CNN interview below.